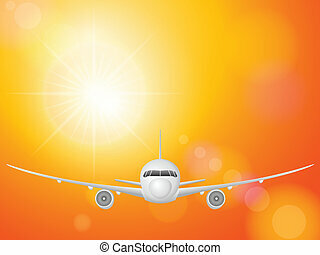 Airplane sky. 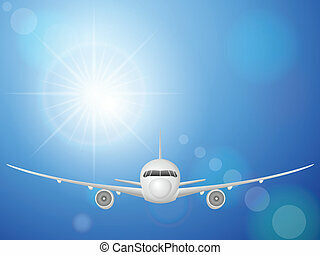 Airplane flying on blue sky. 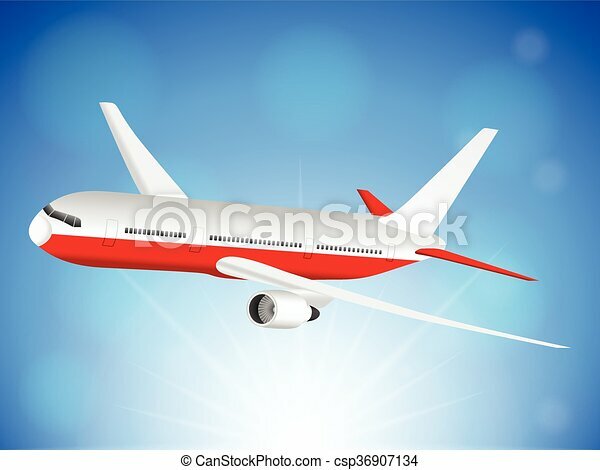 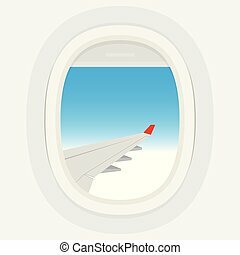 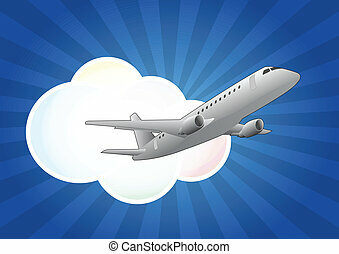 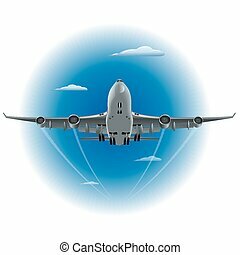 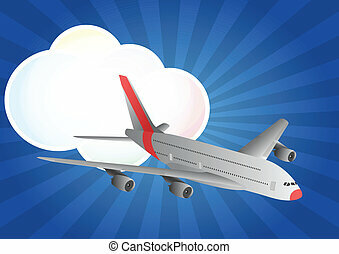 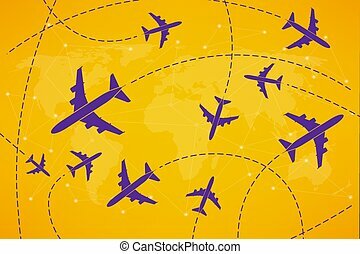 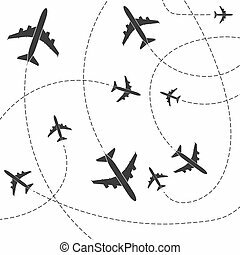 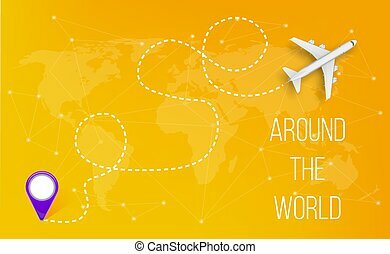 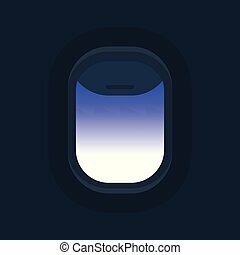 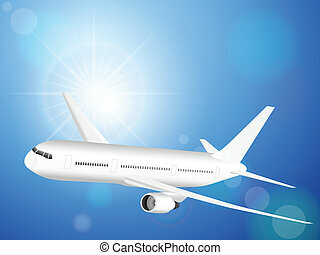 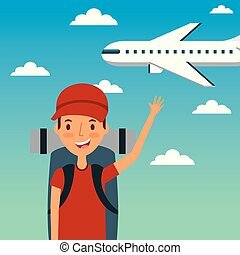 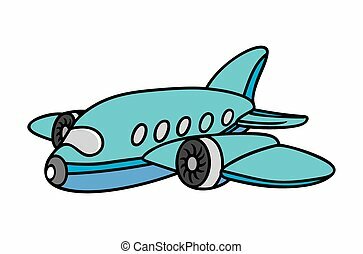 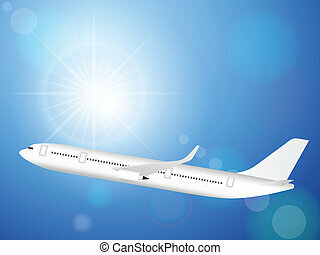 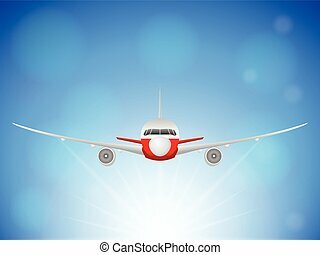 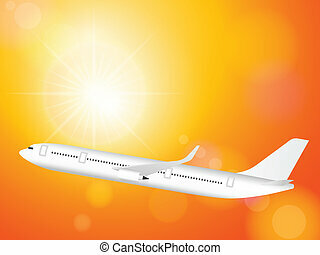 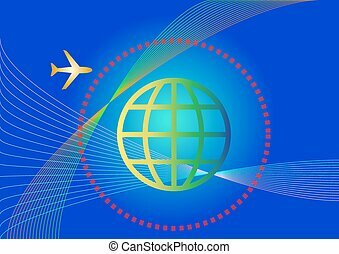 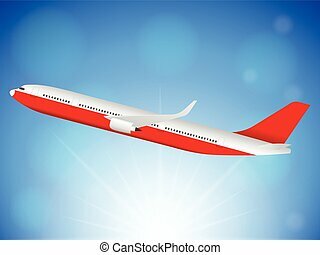 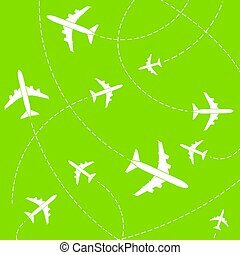 Creative vector illustration of plane with dashed path lines isolated on background. 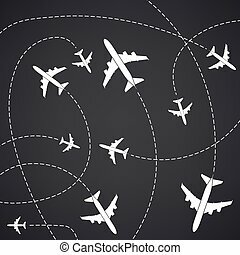 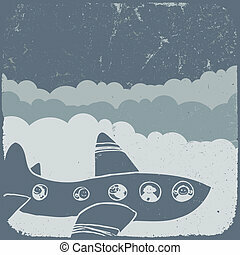 Art design airplane sky route. 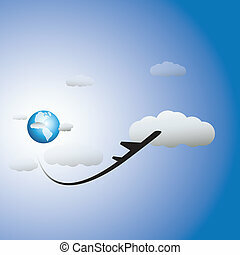 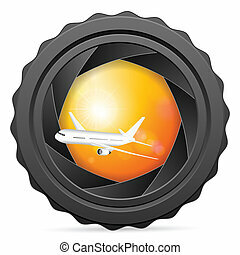 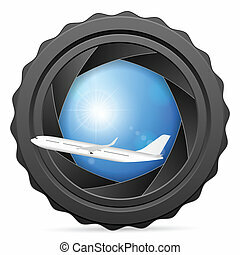 Abstract concept graphic element for air transportation presentation.